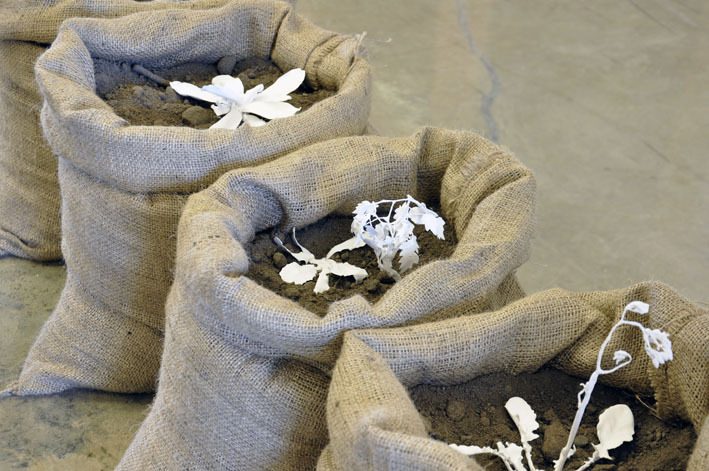 (out of) Place: Wendy Teakel has been deeply interested in the nature of settler colonization in Australia, and representations of landscape. 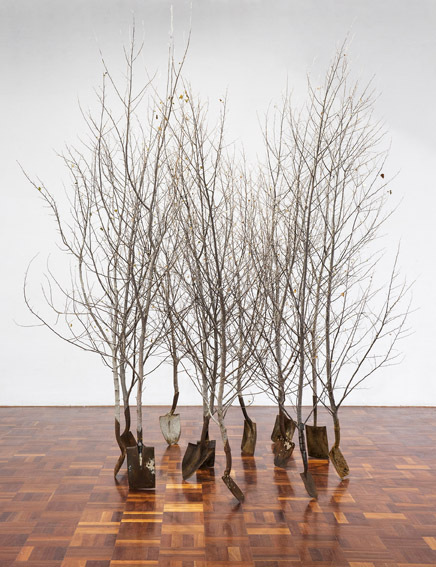 What belongs, and what is out of place are central concerns in her work as she consistently engages with the natural and the artificial, the indigenous and the introduced. An entire ecosystem of native and invasive is implicit in her work Grove. 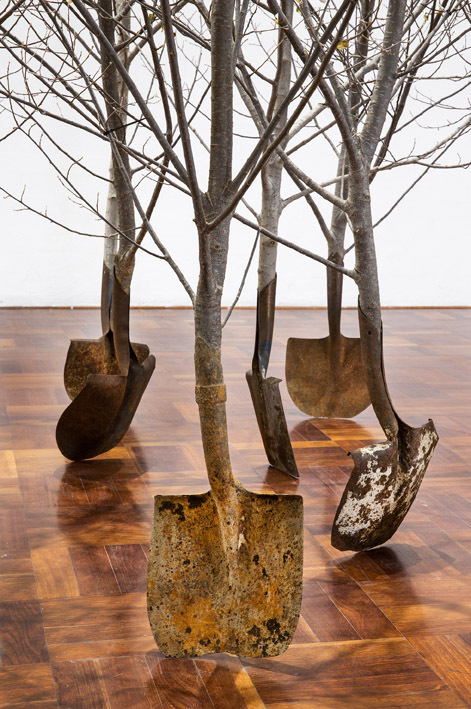 Combining a number of salvaged shovels with "escaped" invasive wood weeds, Teakel has constructed a garden planting on the gallery floor, highlighting the disjuncture between place and object. 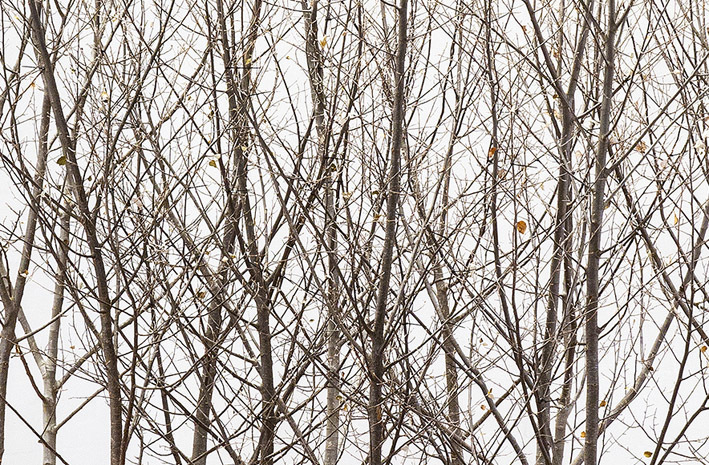 Her materials bear the marks of time, both shovels and branches display their prior histories. Found objects from paddocks and farms ranging from corrugated iron, fencing wire, fleece, tin cans, grasses and seeds are regularly included in her work. Aspects of the Australian landscape with its dramatic colours, sere, sun-baked vegetation and the marks of bushfires are recurring motifs in Teakel's oeuvre. She continues to emphasize the uneasy relationship between settler attempts to domesticate the landscape and render it productive, and inevitability of ecological degradation and natural catastrophe, fire as well as flood. 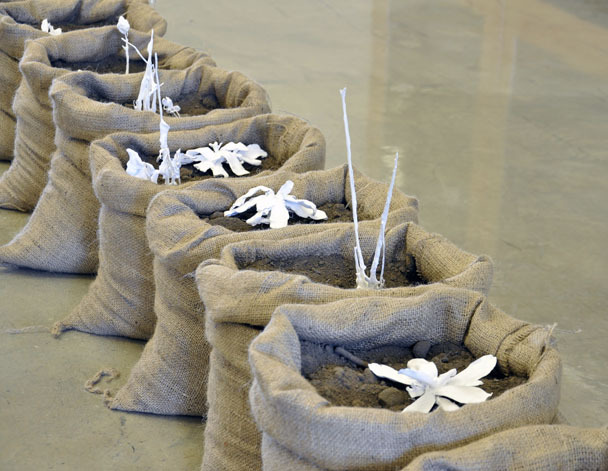 White Weeds explores similar ideas to Grove. Created while in residence at the Columbus State University, GA. Recognized weed species both common to Canberra and Columbus were collected from the verge of roadsides and then mummified in plaster. 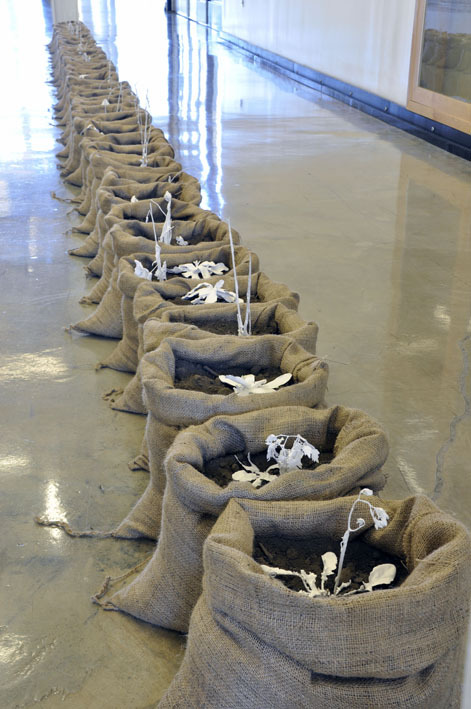 The weeds transplanted to garden loam in burlap sacks suggest a productivity which will never come to fruition. Both Columbus and Canberra are colonized by settler societies and in some instances have aggressively replaced indigenous people. People like weeds can be invasive but not always productive.